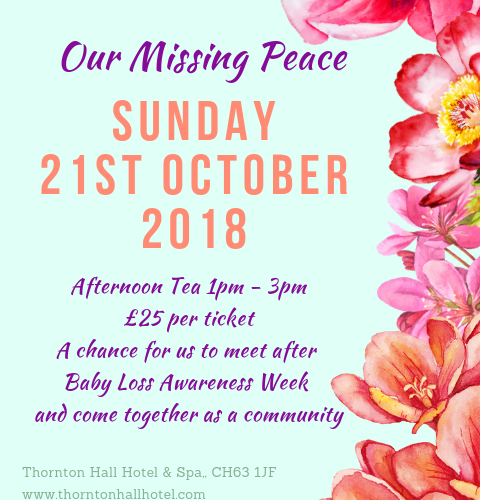 Today marks the beginning of Baby Loss Awareness week 2018. A week for us to celebrate our babies, tell our stories and to raise money. Admittedly I've avoided this week in the past, somehow thinking if I didn't acknowledge it, it couldn't happen to me, that was far from the truth. This year I will be shouting from the roof tops and trying to raise awareness. The last few weeks or so, have seen baby loss discussions on the BBC, This Morning, in magazines and M&S have sold t-hirts and candles in the lead up to BLAW. It feels as though more and more people are opening up and telling their story; Gary Barlow, Lily Allen and Amanda Holden, to name a few. Baby loss doesn't discriminate, it can happen to any one and the more we talk, the more we can learn and hopefully save more baby's lives. So this week I will be sharing posts from other parents, charities that have helped us and other bits in between. Please follow me over on social media to see more - Instagram , Twitter and Facebook. I hope you can all join in the Wave of Light on 15th October, lighting a candle in memory of all those babies that have been lost. 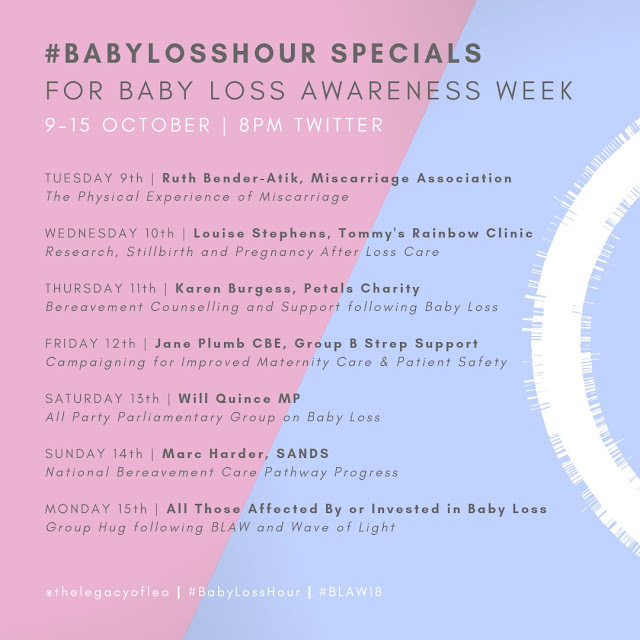 Baby Loss Hour on Twitter, hosted by the lovely Jess from Legacy of Leo. The chat will be happening every night this week, with different topics and discussions. 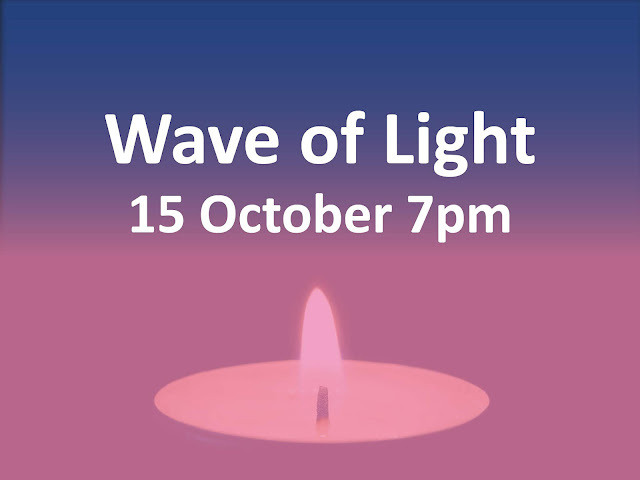 Join in at 8pm 9-15th October. 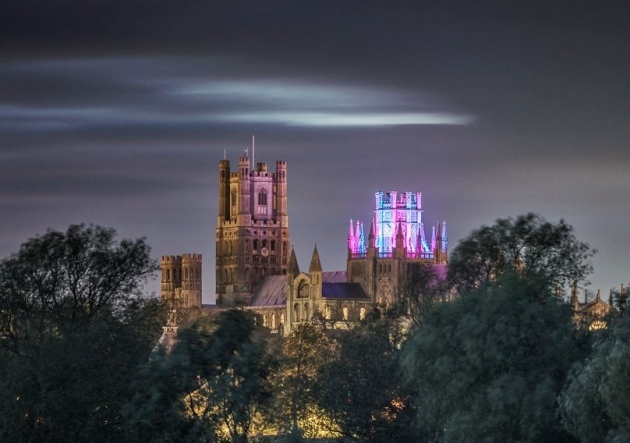 Lots of buildings will be turning blue and pink for BLAW - find a local building on this map. Lots of remembrance events happening in and around the country. Find the list here to your local event and information on how to get involved. 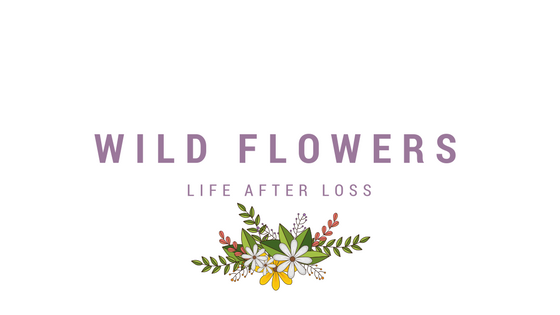 I'm so proud to be a part of Baby Loss Awareness week this year, but for loss families, this isn't just a week. It's every minute, of every hour, of every day. This is our lives and I hope you can join us in celebrating our very special babies.